Envision yourself as a Black Belt in the Martial Arts! Elite Karate Martial Arts & Fitness Centre is the place where you can achieve your mental and physical goals. Imagine having greater self-confidence, the motivation to reach new heights at work or school. At Elite Martial Arts, we believe that setting goals is essential for the progress of the student. Every student is motivated to achieve their goals by working hard and maintaining focus in class, as well as practising at home. Karate is an art that requires lots of practice and repetitive movements. Proper practice is very important in comprehending the art of Karate. Through repetition, a student learns each technique instinctively. This allows the student to have a proper foundation for building new skills. All of our programs are structured to help every student regardless of their age, gender, or capability. 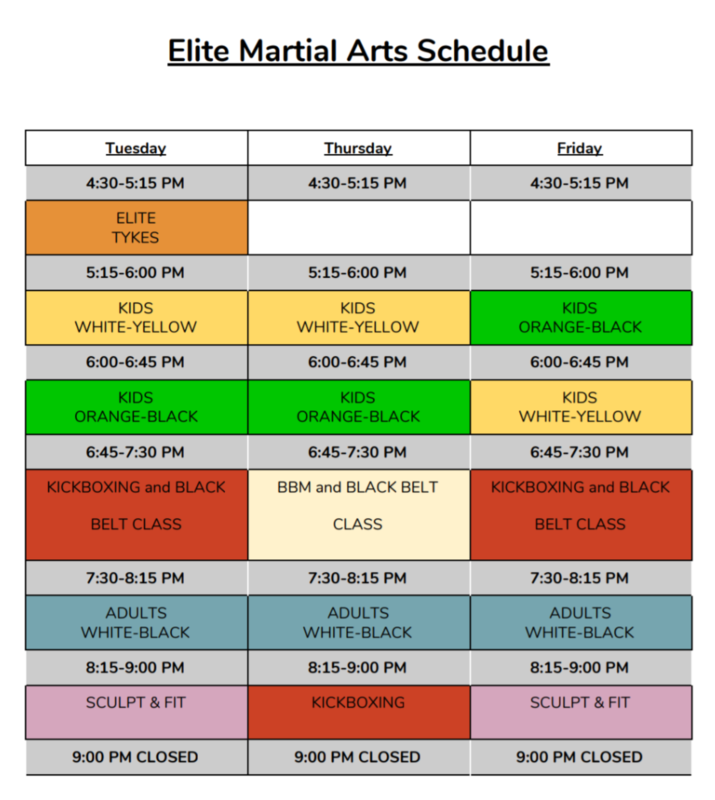 At Elite Martial Arts we want the best results for our students. We teach with a passionate, caring approach so the students will learn this same attitude. In addition to this, we ask the students to follow the student creed that states, “My goal is to become the best person that I can be”. As instructors we feel it is imperative that our students believe in themselves in order to allow them to develop the ambition and confidence to achieve their goals.